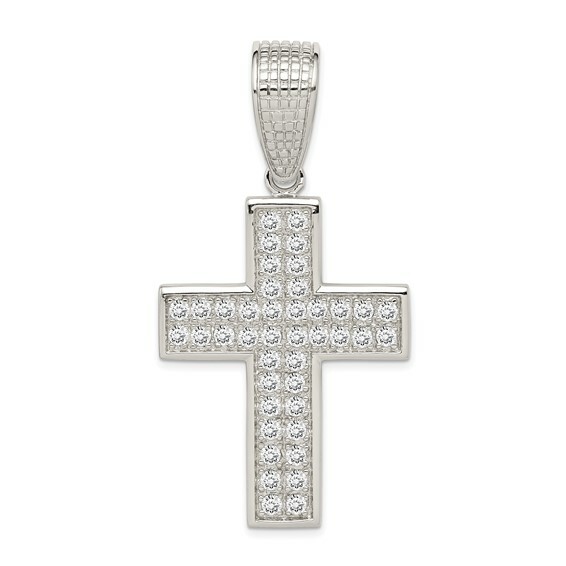 Polished sterling silver cross with cubic zirconias. Open back. Dimensions: 3in by 1 3/16in wide. Made in China.